SKU: RJ/AHJ/HPL. Category: Routing Jigs. This light weight professional jig is easy to use with minimal set up time. 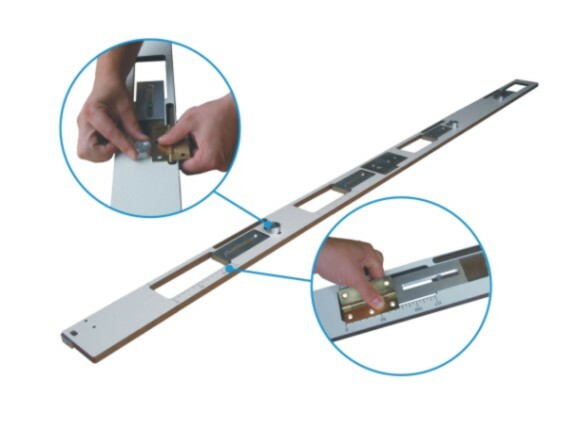 Once set, the jig can be transferred to the door-frame without the need of further adjustment. This will give a quick and accurate result. With this Adjustable Hinge and Frame Jig we are also providing you with x3 Bradawels, a carry case for the Jig and a 16mm Guide Bush. We also sell Compact Hinge Jig HPL and Cabinet Door Hinge Jig HPL.